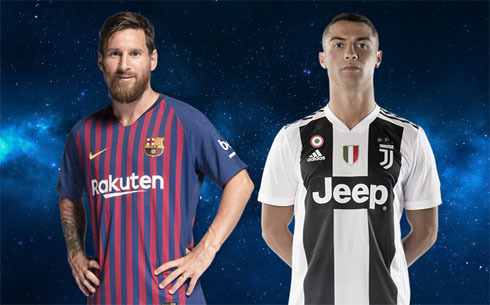 ﻿ The Ronaldo vs Messi debate: What's new in 2019? 19.03.2019 » The Ronaldo vs Messi debate: What's new in 2019? 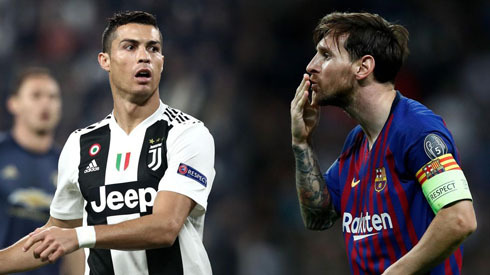 If you are a football fan, then I am sure that you have come across a group of people debating who is the best player when it comes to Ronaldo vs Messi. These two football stars have been having it out for each other, especially when it comes down to the awards. Although they are quite "old" in terms of football years, the two don't seem like they will stop anytime soon giving the world spectacular moves. It's why more Betway fans are betting on their matches than before. Football remains the most popular betting sport on Betway, if you didn't know. If you are torn between choosing who is the best between the two of them, then here are a few facts that will help you. Why do a lot of Lionel Messi's fans consider him the greatest of all time? 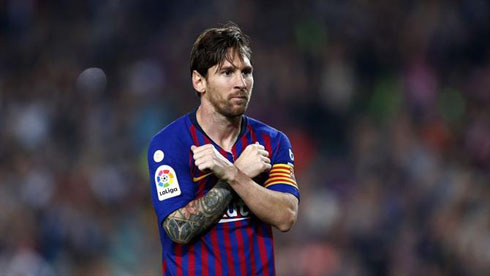 If you meet any die-hard fan of Barcelona's striker Messi, they will describe him as The God of Football. Messi joined Barcelona when he was 16 years old, making him the third youngest player to join the club. The other two players who joined Barça at a younger age than Messi are Haruna Babangida and Paulino Alcántara. Here are fun facts about Messi. Although statistics prove that both Messi and Ronaldo are perfect, a recent study shows that Messi is a far better player. The Economist rated both these players goals in terms of importance: the winning goal. This means that the winning goal is much more significant than any other purpose in a match. In this case, the statistics favour Messi with 59.5%, while Ronaldo stands at 50.4%. If you have ever watched any game which has Messi in it, then you have to realise that he makes everyone shine. He might not score the goal, but he did have an input in that goal. The versatility of him being able to score great goals while still keeping his team involved makes him a bit better than Ronaldo. You have to admit it, he is magic. Every time he is on the field, he knows how to dribble the ball in ways that most people wish they could live in their dreams. He is a natural talent that many people love to watch. This starts from the way he passes, possess and shoots the ball. Messi is an explosive player. 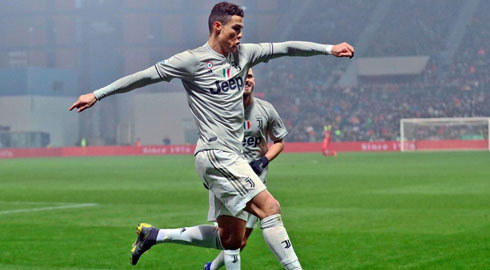 Cristiano Ronaldo, famously known for his accomplishments with Manchester United, Real Madrid and now Juventus, is still one of the best players in the world even at the age of 34. With so many years in his legs, he has built a career which many fellow players wish they could have had. If you are a dying fan of Ronaldo, then I am sure that you are going to love these facts about him. Cristiano Ronaldo is made out of pure Portuguese muscle. He describes himself as a 34-year-old player with the body of a 24-year-old. One of his most significant threats are the headers because he really can jump like an NBA player. Cristiano has the abilities of the most complete athlete ever seen in football. Let us know what you think, who do you think is the GOAT? Messi or Ronaldo? Cristiano Ronaldo next game for Portugal is an European qualifier on March 22 of 2019, against Ukraine. You can watch Portugal vs Ukraine, Netherlands vs Belarus, Belgium vs Russia, Wales vs Trinidad and Tobago, Kazakhstan vs Scotland, and Germany vs Serbia, all matches provided from our football live game pages.